1. 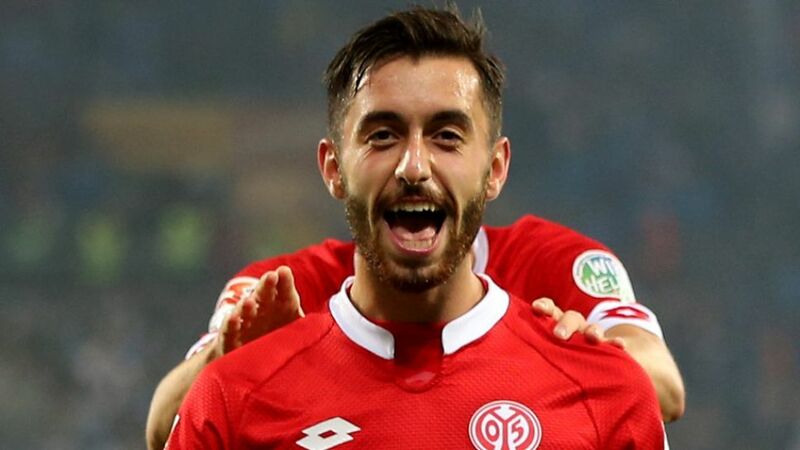 FSV Mainz 05 midfielder Yunus Malli has decided to represent Turkey rather than Germany at senior international level. Born in Kassel, central Germany, Malli has already turned out for the country of his birth from Under-17 to U21 level and was eligible to play for Joachim Löw's 2014 FIFA World Cup winners. However, after much deliberation, his uncle and agent has now confirmed he will play for Fatih Terim's Turkey. "Even if it was a tough decision, this is the next step in his career," said Ilhan Malli. "The formalities with his dual citizenship have all been cleared up. Turkey made a lot of effort with Yunus, and the fact they've qualified for UEFA EURO 2016 is a bonus." Turkey coach Terim met Malli in person at Mainz's game with Bayer 04 Leverkusen on 23 September and revealed that the 23-year-old had long been on his radar. "If everything had moved a bit faster, I'd have called him up to the squad for the qualifiers against the Czech Republic and Iceland." Malli, who has scored six goals this season and 12 in 2015, made a total of 45 appearances for Germany's youth sides, winning the UEFA U17 European Championship alongside Mario Götze and Marc-Andre ter Stegen in 2009.